The new blended military retirement plan will take effect in January 2018. Those who are already in the military by that time will be grandfathered into the old plan. However, they will be able to opt into the new retirement plan if they wish to do so. Will members be better off for opting into the new retirement plan, or for remaining in the old retirement system? As you might imagine, the answer will vary for each individual. Important factors include their years of service when the new plan starts, whether they plan on remaining on active duty for 20 or more years, how much they are able to contribute to the Thrift Savings Plan, and more. 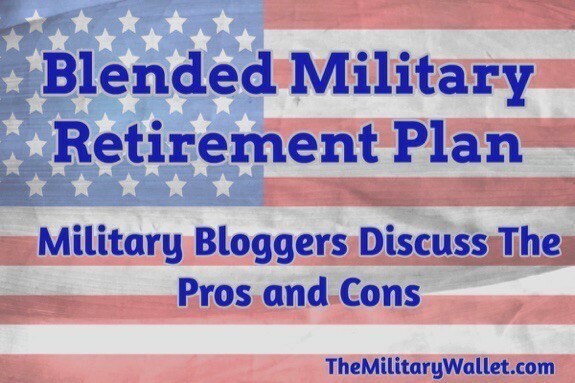 In today’s article, I asked several military bloggers to weigh in with their thoughts on the new blended retirement system. Whether they think it’s good for servicemembers, whether it makes sense for the military, etc. They had free reign to give their thoughts and opinions. I’ll start with a brief overview of the current retirement system and the changes for the blended retirement plan. Then I’ll share my thoughts on the new retirement plan, followed by the other expert opinions. Members receive 50% of base pay after 20 years of service, plus 2.5% for each additional year served. Members can participate in the Thrift Savings Plan, but there is no military-match on TSP contributions. Military retirement pay begins the month after the member retires. Click this link for a full overview of active duty military retirement benefits. Members receive 40% of base pay at 20 years of service, plus 2.0% for each additional year served. Members can participate in the Thrift Savings Plan and will receive military-matching contributions from the military after reaching two years of service. (Note: this may change; there is legislation that may push this to 4 years of service before they will receive matching contributions). Members are eligible to receive a career status bonus upon reenlisting for 4 years at their 12-year mark. This would equal 2.5x their monthly base pay. (This would not replace any possible reenlistment bonuses that might be in effect at the time of reenlistment). Military retirement pay begins the month after the member retires. However, there is language that would allow members to receive some or all of their retirement pay in a lump sum in exchange for lower monthly payments. Click this link to a overview of the blended military retirement system. The changes boil down to a reduced fixed pension multiplier in favor of matching Thrift Savings Plan contributions and career status bonuses. There will be a sweet spot where the new plan may be worth more to retirees than the old plan, but only if the member diligently contributes to the Thrift Savings Plan over a number of years, and the markets do well. Here are some opinions on the retirement plan change, based on a poll of fellow military bloggers. Their name, branch of service, website name, and social media profiles are included below. Want to share your thoughts? Please feel free to start a conversation and leave a comment after the article! Change was going to happen. This is a good compromise. The military retirement plan is one of the most generous plans around. There aren’t many places where you can work a minimum of 20 years and receive 50% of your base pay (or more) for the rest of your life—and still support your spouse with 55% of your pension after you pass away if you opt into the Survivor Benefit Plan. There are other generous pension plans around, but most of them require participants to serve more than 20 years, or reach a certain age before they are eligible for benefits (50, 55, and 60 years of age are popular starting ages for pensions). That said, the current plan is unsustainable. Many members serve 20 years, but draw retirement payments for over 30, 40, or even 50 years. Many retirees earn more in retirement than they ever earned during their years of service. Previous proposals to change the military retirement system would have gutted the current fixed pension system in favor of switching to an almost 100% 401k-type retirement plan. This is a reasonable compromise. Who benefits the most: Only about 17% of military members reach retirement. About 83% of servicemembers leave the military with only their contributions to the TSP. The new retirement benefits these servicemembers the most, as they will now have matching contributions to their TSP. Those who contribute at least up to the maximum TSP match will gain the most. Some who do this from day one may even come out ahead. Who loses? 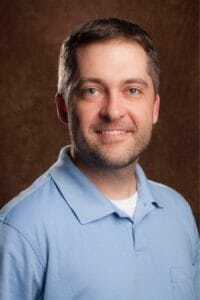 The 20-year retiree who doesn’t make TSP contributions. Should You Choose The Military’s Blended Retirement System?. Beware Of Huge Flaws In The Military Blended Retirement System. Source: Doug Nordman, retired US Navy officer, author of The Military Guide to Financial Independence and Retirement, and founder of The Military Guide. @TheMilitaryGuid on Twitter. As a taxpayer, I see the shifting of retirement responsibility from government to the retiree as a move that every other entity considered and started to execute over a generation ago. Keeping a retirement system in place where we pay 30, 40, or 50 years of retirement for someone who served as little as 20 years… that’s unsustainable given the longevity trends society is facing. As a servicemember, it’s disappointing. However, I do see that two wars over the past 15 years have eroded our military’s budget. As a result, we’ve had to support our current system, which costs a LOT, at the expense of supporting our weapons systems. As a result, our aircraft have had to fly longer than expected, our ships are older than planned, and we need money to keep our weapons systems up to date. If you plan to do less than 20 years, and have a plan for when you leave the service… you should take it. Something is better than nothing. If you plan to stay for 20 years… you should seriously consider not taking it. The only reason you might want to take it is if you’re in a highly competitive field and there’s a strong possibility that you’ll be forced to separate. However, your decision should reflect your readiness to make up that difference by engaging in a second career as early as possible. Source: Forrest Baumhover, US Navy officer, financial planner, author of Military In Transition’s Guide to the Survivor Benefit Plan. @westchasefp on Twitter. As someone who will have the opportunity to make the switch to the new blended retirement system, I have a few thoughts. First off, this is great for those who don’t plan to stay until retirement, and have an actual plan for what they will do after their term is up. Of course, you have the people who don’t plan to stay 20, and end up staying the full 20. Plans change. However, the new system isn’t so different that it would ruin anyone’s retirement if they chose it. I joined the military late, but I will still be able to retire at 45, which is insanely young for a career path outside of entrepreneurship. Since I will retire about the age of 45, I would get an extra 10% immediately (compared to the new system). That extra 10% invested over the next 15 or 20 years (the approximate amount of time it would take for me to be able to receive TSP benefits), would make the old system the best bet for me, by my calculations. That being said, I think the new system is the best thing they could have come up with for a military in need of retirement reform. I don’t believe the difference will equal hundreds of thousands of dollars (or even tens of thousands); therefore, I’m not going to condemn it like many service members want to do automatically. 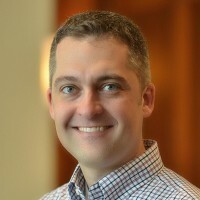 Of course, there is the area of personal investing, and I think there will still be people who don’t contribute anything to their TSP, which will make the new system much worse for them, but I don’t think it’s wise to make decisions based on whether or not people have the discipline to invest. Source: Kalen Bruce, USAF veteran and founder of Money Mini Blog. @moneyminiblog on Twitter. For those who plan to serve their nation for twenty years or more in the armed forces, the new plan is a bad deal. It shifts much of the responsibility for retirement income from the government to the servicemember and the market (domestic and international equities, corporate and government bonds). However, for the >80% of servicemembers who do not receive any sort of retirement benefit, the new plan adds civilian style 401k matching in the Thrift Savings Plan and a continuation bonus at 12 years. This is a good deal. The blended retirement system puts more cash in the retirement accounts of those SMs who choose to save for their retirement. Invested in a diversified portfolio of 80% stocks and 20% bonds, the returns from a matched TSP account can nearly replace and in some cases exceed the difference between a 2.0% pension (new system) and a 2.5% retirement (old system). I urge every servicemember to carefully consider whether you will make it to twenty years or whether the chances are high that you will leave before. If you think there is a chance you won’t make it to twenty years and earn a pension, switch to the new system and start contributing to your TSP account today. Source: Spencer, USAF veteran. Founder of Military Money Manual. On the other hand, something is better than nothing for the 1- or 2-termers. Source: Rob Aeschbach, retired USMC officer, financial planner, and founder of The Military Financial Planner. @robaeschbach on Twitter. What are your thoughts on the new blended retirement plan? Please feel free leave a comment below! I understand the importance of sustainability when it comes to systems – especially retirement systems. In the past 20 plus years, the trend has been to move back toward where we started; that is, placing the retirement onus back on the worker as opposed to the institution. Retirement plans were essentially designed as retention plans by companies and governments. Over the past twenty years these systems became unsustainable and have very quickly gone away. The federal military pension (a deferred benefit plan) is/was the last bastion where one could receive an annuity for life. I guess what bothers me the most is that a very limited number of people serve in the military (the statistic of less than 1% is thrown around a lot, but I would have to qualify that). And according to this article, only 17% of those 1% actually retire. Now admittedly I have not penciled out the numbers, but at first blush it appears that the numbers just don’t add up. Is it really that costly to provide the High 3 pension plan to those that have given up so much for this country? Or did we simply mortgage the future pensions of our warriors along with our national security for 15 plus years of war in Iraq and Afghanistan? The harsh reality is that defending this country is a people business. Given we need, guns and ships and plans and equipment, but without good people, we place our national security at risk. And without retention, we will not have good people. If a person can get a similar retirement plan in the private sector, why should they continue to make sacrifices and place themselves in harm’s way in the military? Now one could make the nationalistic argument. Nationalism will carry the day when America puts out the call. True. Americans will enlist and support the war effort, but that will only take us so far. There is a limit. The country still needs trained warriors standing by, ready to answer the call. Another question I have is where did the 83% discussion come from? I have been in the military for almost 20 years and in that time have never heard a troop complain that they served their country for 2 or 3 or even 6 years and they were not getting a partial retirement. When this new retirement program was first socialized, there were a lot of comparisons made to the private sector. First, one must first consider that is not even a fair or reasonable argument considering the major disparities between the two worlds. However, let’s say for a minute that this were true and the two were actually comparable. Does a person that worked at McDonald’s or Coke for 2 or 3 years walk away with a partial pension other than what he/she put into his/her 401k plan and whatever vested monies were included in said number? The short answer is no. Now I am not saying that service members that serve less than 20 should get nothing, but at the same time, people who you do not retain should not serve as the basis for your new system… unless of course they are required to serve as the anchor for that very system to exist. From my foxhole it would appear that a non-issue was made into an issue in order to justify a program that the architects knew would be unpopular. In closing, I realize that change is inevitable. It will come to every system at one point or another. Often times it is required for a system’s very survival. However, if you look at the changes to the military pension system since it was first instituted, none of the changes have been in the service members’ favor; High 3, REDUX? Unfortunately, it does not appear that this change will be much different.